Being a minimalist is not about a destination, though it may sure seem it when you first start. It becomes a journey, an ongoing effort. I had gotten to the point where I was donating 1-2 shopping bags of stuff (including some fresh groceries I'd pick up) to our local Free Store per week. After skipping 2-3 weeks, we did some Spring Cleaning in our Travel Trailer and now have 2 garbage bags full of stuff! Tomorrow I'll deliver the bags while I'm on that side of town. I'm donating newborn size cloth diaper supplies, outgrown girlie toddler clothes, toy overflow, an old skillet, etc. My doula is also coming by tomorrow and will collect a few slings I no longer use. She'll pass them along to mommas in need. She'll also clear out my freezer of all the donor milk we wound up not needing. Once I actually get all these bags out of the trailer, I'll be glad for the new space! We don't have extra space to store stuff we don't need. 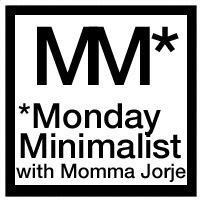 Let me know if you have a Monday Minimalist post and I'll share it on my blog. Click the icon to grab the button for your MM posts or for details on how to join the movement. I'm glad you pointed this out. It really is ongoing, the quest to have less stuff. There never comes a point where you can say, Ok, we got it down and now we can stop. The Free Store sounds so cool, and I love to hear the cool things you're donating. 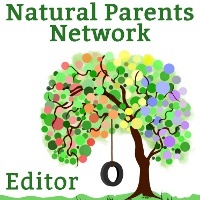 It is SUCH an amazing resource! There is even ART! I try to donate food when I can, too. It was cool, I took some cheese this week and someone came in and took some of it. It was nice to see that my donations really are going to real people. Tandem Nursing - Magic Cure? Sunday Surf: Santa has long hair, doesn't he?